Come to the talk and then stay for the party! 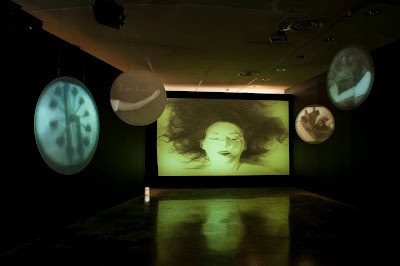 Tomorrow is the last day to see Tim Tate's spectacular video show at the Katzen Museum at American University. There will be a talk tomorrow, Saturday at 4pm led by yours truly discussing the meanings and importance of the installation and of Tate's work. I've been working with Tate since his very first solo show and been a close witness to his meteoric rise. It is followed by a closing party from 5 to 7 - free and open to the public. I hope you get a chance to stop by. And here read Tony Harvey's review of the show.